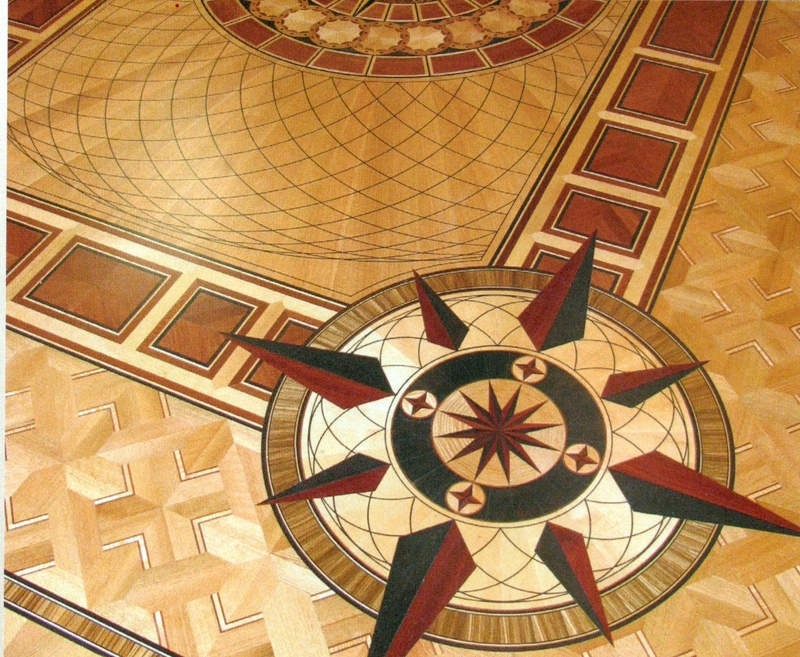 Developed during the middle ages in Europe, custom wood floors in elaborate designs, borders, inlays & medallions were crafted for significant buildings such as castles, & monasteries. Today these wood flooring styles are reflected in the modern day manufacturing and can be enhanced with something as simple as a strip border around the perimeter of the room or as ornate as a coat of arms in a foyer or a great room. 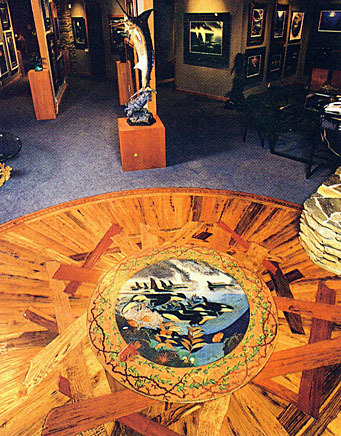 Using exotic woods from around the world, these custom designs & patterns can add to and become the center focal point of any room. 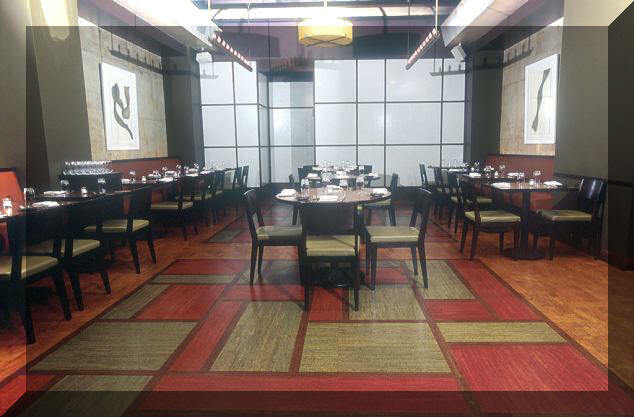 Giving each room a Custom-one-of-a-kind wood floor. 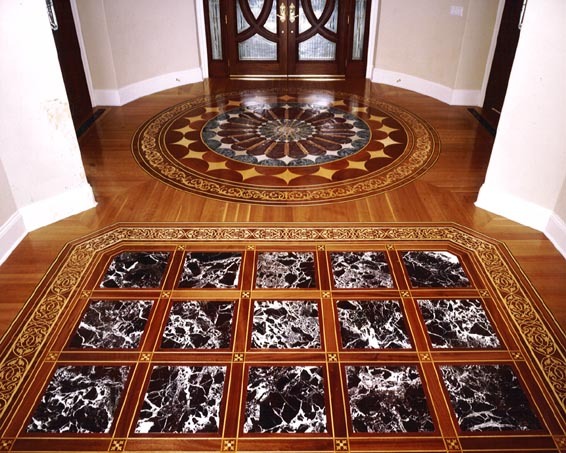 Custom designs can give a homeowner a "one-of-a-kind" (see Photo Gallery) floor and is a wonderful way to put your personality and individual character in a home. 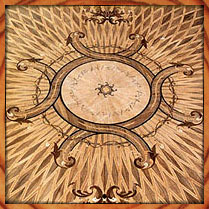 The choices of pattern, design, exotic woods sources and an artistic flare can provide a limitless number of possibilities. 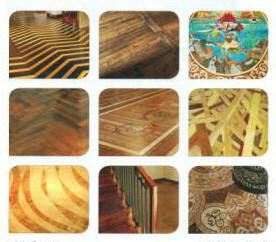 This site will give you an in depth overview of ALL the products associated with Custom Wood Floors. 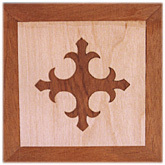 See Gallery of Custom Wood Floors.